You know it, I know it, we all know it. Running marathons is easy. We pretend it’s hard because we want to impress our friends or because we’re raising money for charity, so it has to be seen to be challenging. But the reality is, you could walk most marathons and still finish inside the cut-off time. If you are already steaming with anger, itching to pounce on the keyboard and register your discontent, you’re absolutely right to do so. How dare I belittle the hours of training, dedication and hard work that many people put into completing a marathon? It’s some people’s life ambition to finish a marathon. How could I do them out of the pride they feel in accomplishing what, for them, may be a monumental achievement? Yea, I know. I’m sorry. But running a marathon is easy. Honestly, it really is. I know loads of people who’ve done it hundreds of times. I mean, to be clear, I actually, literally know loads and loads of people who have run well over 100 marathons and lots of others who have run many, many more than that. It’s not odd. It’s normal. It’s not out of the ordinary or unique. It’s just, “how many marathons have you run?”, “235, but I’m doing a double this weekend so it’ll be 237 in a couple of days” and you go, “ok”. If you’re reading this, the chances are you are a runner, or you are interested in running. If you have never run a marathon, you may be reading this thinking, “What? What the hell is he on about? 26.2 miles is a long way”. You may have run one or even two marathons and be thinking the same thing. But trust me. Once you’ve done it three or four times and you’ve got a bit of marathon experience, it becomes like anything else you do regularly. It becomes second nature. It loses its novelty value and becomes the norm. It no longer fills you with dread. You no longer rush to the computer to look up marathon training plans months in advance, or join countless Facebook groups to ask if you should wear a hydration vest and what exactly is a hydration vest. That’s not to say, just because it’s lost its novelty value, that it’s no longer fun. We wouldn’t do it if we didn’t enjoy it. It becomes addictive, in fact. Look at it this way. If something is really difficult, you might do it once or twice and then tick it off the bucket list as ‘Done’. Like climbing Everest, teaching your mum to use a computer or being married. Those things. But running marathons is easy. We used to think it was hard. My wife tells a story of when she was a child and someone came to her school to talk about when they ran the London Marathon, and the assembled throng were sore amazed. Well, come on, the world and his dog have run the London Marathon these days. (Commiserations on not getting in on the ballot again this year by the way. Probably best to stop trying as it’s been 6 years now. It’s unlikely to happen and you’re not getting any younger). My wife was worried sick when I ran my first 6 mile race some years back. She was convinced I’d have some sort of seizure. These days it’s more like, “What is it today? 50 miles? Well, don’t hang around chatting after, or your dinner will be cold”. She’s not joking either. She’ll be doing the maths in her head, working out when I should be finishing. I get half an hour for ‘recovery’ then I’m expected to be in the car and on the way back. I read somewhere that if you’re a runner and you’re still married, you haven’t trained hard enough. Now, in my head there is a bit of a difference between running a marathon on the road and running a trail marathon; that is, one that goes over the hills or on forest tracks or grassy knolls. Don’t get me wrong, they’re both dead easy but one is marginally less dead easy. Can you guess which one? No wrong. It’s the road marathon. See, for me, in a road marathon, I am at least thinking about beating my previous road marathon time. So I’m trying a bit harder to jog faster. But the good thing about jogging fast is it’s over in 3-4 hours! Most people spend twice as long as that at work, five or six days of the week! A marathon once a month or even once a week is nothing compared to spending 8 hours in a factory screwing lids on toothpaste tubes or the poor buggers who work nights cleaning up blood, sick and diarrhea in hospitals. Ok yes, there’s plenty of blood, sick and diarrhea at marathons too but you don’t have to clean it up, usually. Trail marathons are a different prospect entirely. I read a Facebook meme recently which suggested that the goal for a road marathon is to finish in a certain time, but the goal for a trail marathon is to try not to die. Well, what rubbish. The goal for a trail marathon is to have a right old jolly. It’s a nice day out as far as I’m concerned. I’ll stop at the aid stations for far too long to get my money’s worth of food. Crisps, sandwiches, chocolate, cashew nuts and fudge brownies. If you run any of the White Star events or even Centurion events, it’s like stopping at a cafe every 5k! I’ll enjoy the views and maybe sit at the top of a hill for a few minutes. It’s also important to chat to everyone else about how tough trail marathons are. We don’t want anyone thinking this is easy now do we? We fool ourselves into believing what we’re doing is hard work. I eventually waltz across the finish line in 5 hours plus and spend the evening posting pictures on Facebook…. of the views, the blisters on my toes, the mud on my trail shoes and the endless selfies I’ve taken with the people I meet every week who do the same thing. And guess what, I’ve got the same medal as the winner and I can legitimately say I have ‘run’ another marathon. As a minor side issue, I want to talk briefly about the marathon distance. Officially, a marathon is 26.2 miles. However, if you run a trail marathon, distance becomes a minor technicality. (To be honest, it’s a minor technicality for some road marathons too – Manchester….HEY, MANCHESTER we’re all looking at you…..) Anyway, Beachy Head ‘marathon’ for example, is actually only just over 25 miles. So, if you have run Beachy Head Marathon (video here), you can scratch that off right now! However, if you have run the Dark Star River ‘marathon’ you’ll find yourself running 28 miles (video here). Don’t start getting ideas that you are suddenly an ultra runner though. You’re not. If you told the folk on the Ultra Running Community Facebook page that you’d run a 28 mile ultra, you’d be laughed out of the room. Yes, technically an ultra is anything over the 26.2 mile distance, but we all know that’s nonsense. You’ve only run an ultra when you reach 50k or 31 miles. Anything less than that is some weird no-mans-land which is best avoided. The Three Forts Challenge (video here) have cunningly not used the word ‘marathon’ in the name of their 27 mile event, precisely to avoid the pitfalls of the ‘marathon or ultra’ debate. Anyway, running marathons is easy. 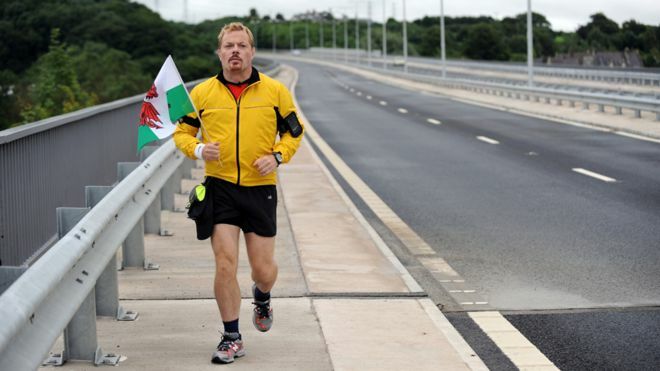 Years ago Eddie Izzard amazed us by running 43 marathons in 51 days. More recently he went to South Africa and this time ran 27 in 27. Then we have the sorry tale of Rob Young. Whatever you think, there’s no doubt he ran some incredible distances whether you believe he ran a marathon every day for a year or not. 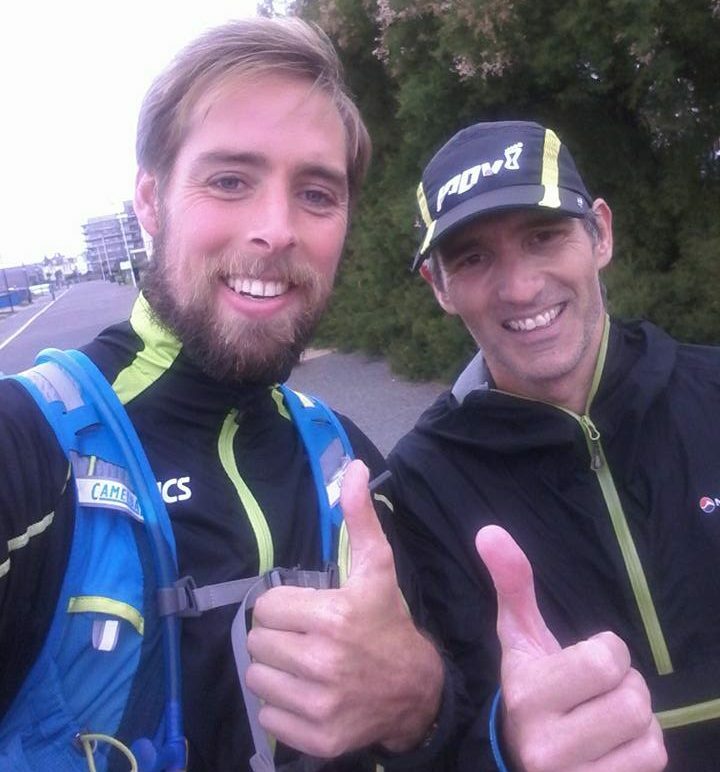 This year (2016), Ben Smith ran 401 marathons in 401 days, Adam Holland has smashed the speed record for completing 10 marathons in 10 days and, as I write this, Lloyd Palmer, a member of my running club, is running 50 in 50 for charity. Steve Edwards has run over 750 marathons in his lifetime and there are others who’ve run more. Steve bangs out one or two marathons a week. He’s a legend, but he would be the first to admit he’s not a world class athlete. He’s just a normal bloke with a job and everything. He’s just like you and me. If you wanted to spend the time and money running 750 marathons, you probably could. You know why? Because marathon running is easy. Look at that list again. Eddie Izzard, a comedian. One of my favourite in fact. Looks a little heavy set if we’re honest and not previously known for any sporting or endurance achievements in the past. Suddenly he’s running back to back marathons. Rob Young and Ben Smith. Pretty normal blokes. Not run marathons before they started their challenges. Rob had been a triathlete in his youth. Both running, to some extent, to exorcise personal demons. 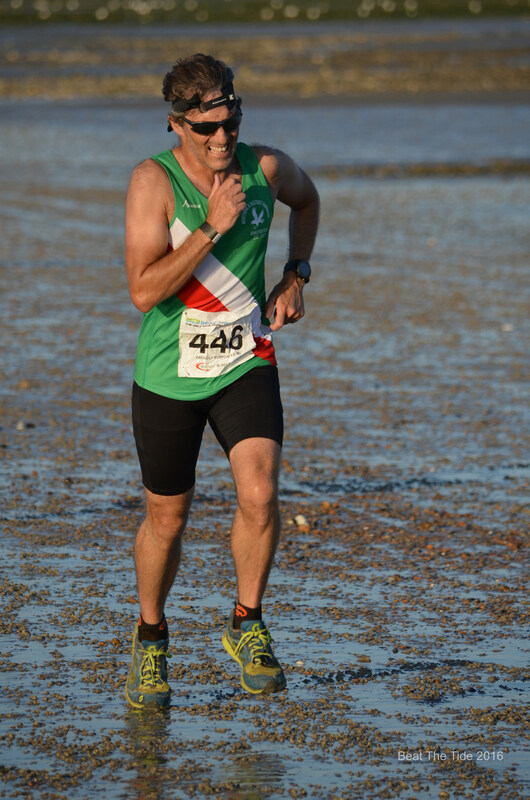 Lloyd, from my club, is a decent club runner, but he’s never claimed to be anything special. He’s a quiet, modest guy doing something he enjoys for a great cause, which you can donate to here. The only stand out ‘athlete’ there is Adam Holland. All his 10 in 10 marathons were well under 3 hours each. I’d give my right leg to run just one sub 3-hour marathon! Well, maybe not. But, I never said running a FAST marathon was easy. 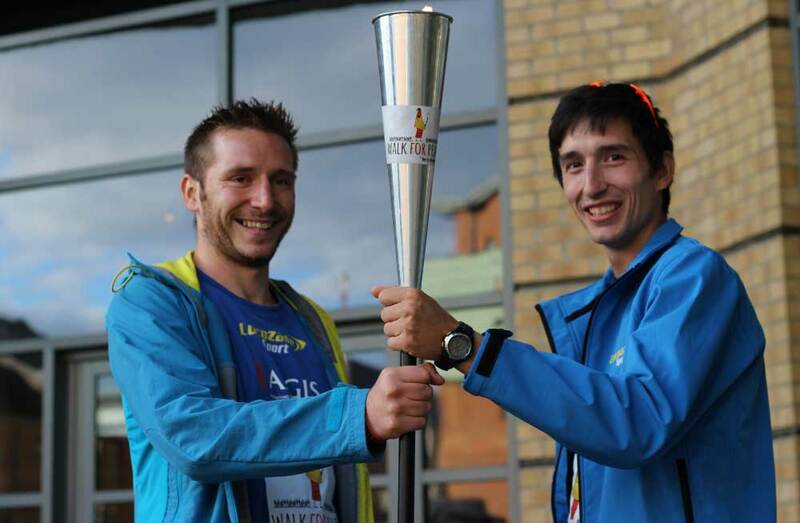 If Ben Smith (video here) can run 401 marathons in 401 days, then YOU can run 100 in 10 years. Or 200 in 5 years. Easily. If you want to. Almost every one of us is bound only by the limitations we impose upon ourselves in our heads. Our bodies are perfectly able. Of course, many of us have factors such as time and money to consider. Entering multiple races is not cheap and the time required for training and travelling and running can feel prohibitive. But it’s funny how we can always find the time and money for things we really want to do. A bit like the Government telling us there’s no money for schools or hospitals, but suddenly billions of pounds appear out of nowhere when they want to invade Iraq or refurbish Buckingham Palace. I challenge you to come to Colorado in the US and run the Leadville trail marathon. It will change your definition of trail marathons being “easy”. If I come to the US it will be to run Western States 100 first. Then we need to do the Boston, New York and Chicago marathons. After that we can do Badwater, Leadville and the Desert RATS ULTRA. BUT if you REALY want a challenge in the States you need to do the Barkley Marathons. It’s been going since the early 90s theres only been about 17 finishers in that entire time. Got to be honest, the Leadville trail marathon does look easy in comparison to UK races. Take a look at the Spine Race – its over 5 times longer and in some of the harshest conditions around. 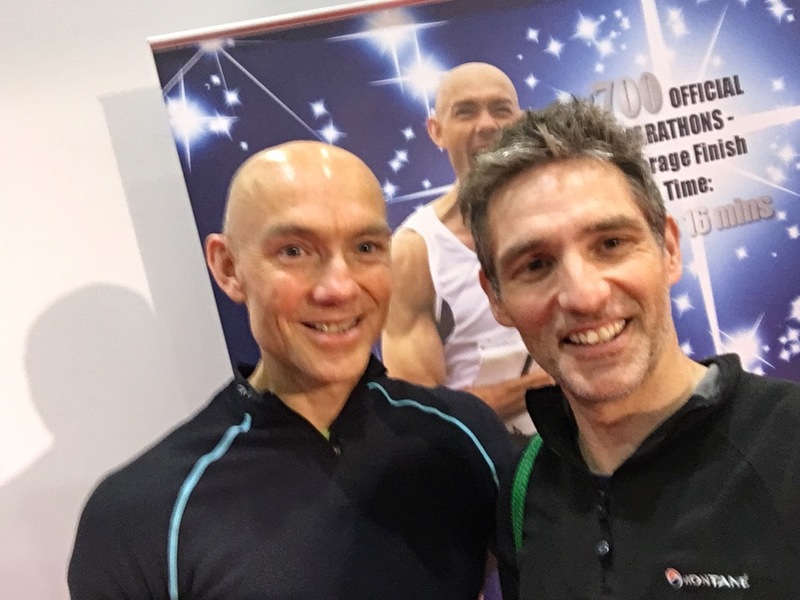 I’m about to run my first half marathon and 4 weeks out from D-Day I’m now questioning everything – have I trained enough, did I do enough speedwork, should I wear my hydration belt or fuel on course, is my right calf tight?…I’m sure it feels tighter than yesterday! etc, etc. Anyway, reading this made me feel a whole lot better (albeit a bit of a wuss) so thanks very much. I stumbled across your videos and site after seeing your name pop on a friends (Gareth Bradley) Facebook feed and have enjoyed them immensely. Congratulations on a great site and some really entertaining videos. I was shitting bricks about doing my first marathon (Paris). All I heard was training plans nutrition, hydration, THE WALL, how hard it is… videos of people crying. Jeeze the rational part of my head was like how could this be so dramatic? Its like 4 hours of your life, come on. Turns out rational me was right. Paris was fine. I finished in 4.05 and went out for a 10k the next day to explore Paris a bit more. Albeit I didn’t push the pace, but the moral of the story for me was that as long as you put the miles in regularly you’ll be fine. I think its a secret conspiracy that everyone’s in on to make their facebook posts more impressive.